*According to Bloomberg News, Bryan “Birdman” Williams” and his brother Cash Money Records founder Ronald “Slim” Williams, are going into the oil business. The colorful Williams brothers founded Cash Money records in the early ’90s from the New Orleans housing projects. The label has gone on to sell more than 45 million albums, receiving dozens of multiplatinum and gold awards from artists such as, Lil Wayne, Juvenile, B.G., and Baby/Birdman, two of Bryan’s hip-hop alter egos. 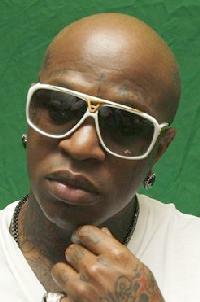 And just so you know he’s serious, Birdman has a new tattoo of an oil rig on his head to prove it. They’ve started a company called Bronald Oil & Gas LLC. One bank told its clients last week that their arrival might be the sign of a new market rally. The new venture’s website says it will explore and develop assets in the Gulf Coast region and Oklahoma.